Although prophets and apostles in the Bible were sinners in need of God’s grace, not one of them ever used his religious authority to justify adultery or other gross sins. In general, polygamy is presented in the Old Testament in an unflattering light: those who practiced it were, with few exceptions, either unbelieving men such as Lamech and Esau or believers whose families were torn by strife and jealousy because of their polygamy, such as Jacob and David. 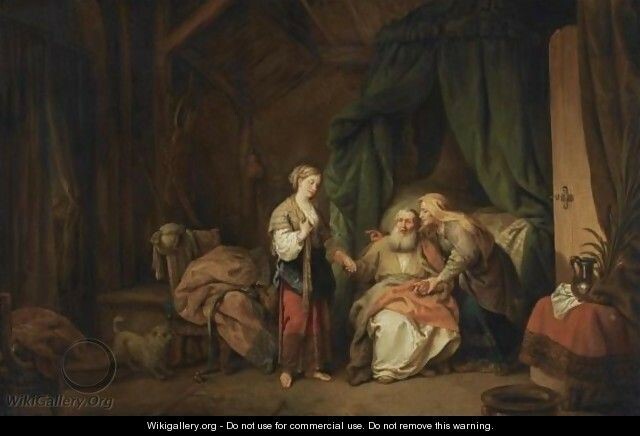 In some instances the women were actually concubines, not wives; for example, Hagar was Sarah’s slave girl who functioned as nothing more than a surrogate mother for Sarah by having Abraham’s son. In any case, no biblical prophet ever claimed that God had commanded polygamy or justified adultery by claiming that God had commanded it. On the other hand, Joseph Smith took over thirty “wives,” including about a dozen married women, claimed that God commanded him to practice polygamy, and lied about it repeatedly—setting a dangerous precedent of disregard for truth. The evidence shows that Joseph had sexual relations with at least some of these wives. His claim that he was restoring Old Testament polygamy rests on a shallow understanding of the Bible, which never mandated the practice and specifically warned rulers against taking many wives. Ironically, Mormons today appeal to the example of Old Testament patriarchs and kings who had more than one wife as precedent for Joseph Smith’s polygamy, yet at the same time deny or downplay any sexual relationships he might have had with those wives. His other rationalizations for the practice were flagrantly unbiblical and often manipulative (e.g., that his plural wives and their families would be assured of exaltation if they cooperated). He hid his polygamy even from his one legal wife Emma at first, and then issued a revelation (that was kept private for years) in which the Lord supposedly told Emma not to oppose Joseph in the matter. Meanwhile, Joseph repeatedly lied publicly about it, denying even up to the end of his life that he was practicing polygamy. Polygamy was illegal under state law in Illinois, where Joseph was engaged in the practice. The LDS Church under Brigham Young (who had over fifty wives) and his successors practiced polygamy openly in Utah during the second half of the nineteenth century. Despite having taught that polygamy was an eternal principle that could not be abandoned, the LDS Church gradually ended the practice under pressure from the United States federal government. Plural marriage continues to be practiced by LDS splinter groups, who make a strong case that they, not the Salt Lake City-based LDS Church, are the faithful adherents of the religion of Joseph Smith and Brigham Young. Note that the main issue here is not polygamy itself. Rather, the main issue is Joseph Smith’s claim that God commanded him to practice polygamy, even with other men’s legal wives, despite the fact that it was illegal, even while lying to other people about it. Biblical prophets were not sinless, but they did not commit adultery or similar sins and lie about it, nor did they claim that God commanded them to do it. Our Polygamy Page has several articles on the subject of Joseph Smith’s polygamy as well as articles on polygamy in the Old Testament. In addition, see our article “Prophets Today? Prophets in the Bible and in the LDS Church,” which discusses prophets in the Bible, the question of whether we need prophets today, and the problem of Mormon prophets not speaking truthfully about such matters as polygamy.